When the London riots exploded in the summer of 2011, 24-hour news images of smashed-up cars, torched buildings and hoodie-clad ‘youths’ were propelled onto our television screens. The blame game began. David Cameron referred to the ‘pure and simple criminality’ of events, while others reveled in demonising and pigeon-holing. Only later, when the dust (literally) settled, did commentators start to attempt to put some context into the narrative. 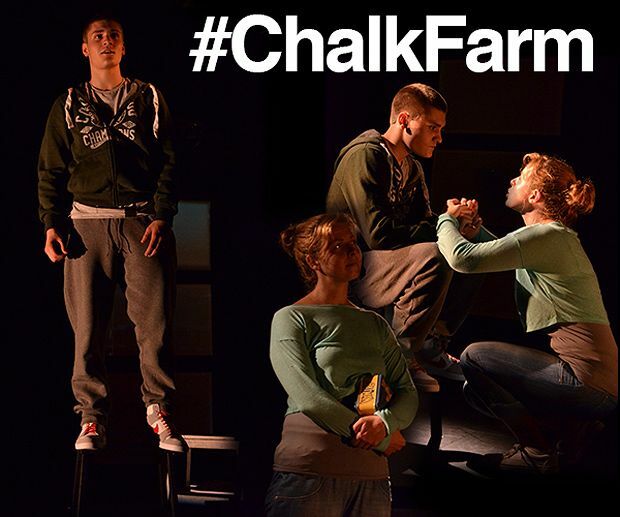 Chalk Farm is acclaimed playwrights Kieran Hurley and AJ Taudevin’s own response to events, seen here through the eyes and actions of a mother and son, and the fallout when the latter gets involved in the looting of the local Sainsbury’s. This is sharp, intelligent storytelling, and the central relationship is nicely captured, as the world they know begins to implode around them. While slick production values and the use of multiple grainy TV images, as a backdrop to the action, reflects that however hard the pair work to move 'up' in society, some families will forever find themselves on the periphery, screaming to be heard. Where the play falters is in its slightly narrow, at times sentimental, view. Underbelly, 0844 545 8252, until 25 Aug (not 13, 19), 6.30pm, £10.50 (£9.50). Award-winning playwrights Kieran Hurley and AJ Taudevin, join forces with highly acclaimed ThickSkin (Blackout, The Static), in this explosive new play about love and blame during the 2011 London riots.